Women come from Iredell, Davie, Alexander, Wilkes and Catawba counties to give birth and receive care at The Birth Place at Iredell Memorial Hospital. The Birth Place contains 9 LDRP rooms and 9 additional rooms for postpartum use when census increases. Laboring patients receive 1 on 1 nursing care. The latest technology, including the use of Epidural Anesthesia, is available in the LDRP room. Mother-Baby care is provided for moms after they have given birth. Mother-baby nursing means that one nurse will be taking care of both mother and baby together. All of the nurses have been specially trained to care for mother and baby throughout their stay. The Birth Place has a Special Care Nursery for infants who need respiratory care and monitoring. Ventilator care is available for stabilization until the baby can be transferred. The Birth Place has received a 5 star PRC patient satisfaction rating for the past 5 years. 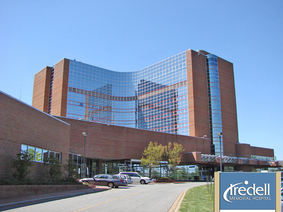 Seven obstetricians and eight pediatricians provide care for patients at Iredell. Learn more.